Former Real Madrid player Michel Salgado has recently had a few things to say in relation to the current head coach of the Spanish club Zinedine Zidane who has been guiding Real Madrid to a number of major pieces of silverware which is very impressive for someone that has had less than 2 years in charge of Real Madrid and who doesn’t really have big experience in coaching top clubs. Zinedine Zidane took over Real Madrid back in January of 2016 and so far, the Frenchman has pushed the Spanish club to a number of trophies including: The 2016 edition of the FIFA Club World Cup and the UEFA Super Cup of that same year, the 2016-17 La Liga and the 2015-16 UEFA Champions League. This is an impressive amount of trophies won for a manager that does not really have experience in coaching top clubs such as Zinedine Zidane as the only elite team that the Frenchman has been in charge of has been Real Madrid and everyone has been impressed by what Zidane has accomplished so far, he has been receiving praise from many football figures and Michel Salgado has recently released his thoughts concerning the French manager. The former Real Madrid player Michel Salgado said: “He could be the man who makes history winning two Champions Leagues back to back, and it is also important at the same time to win La Liga as we miss it. We’ve won just one in the last 10 years and I think it would be important for the club to win it again. One thing is to be successful at Europe, something which delights us, but we should try to dominate in Spain too because the fans deserve it. Trig Social Media AB (Publ) is pleased to announce to have appointed legendary Spanish football player, Michel Salgado as ambassador for Trig Money. The former Real Madrid and Blackburn star will act as a Brand Ambassador for the global Trig Money application that is currently being launched worldwide. Trig Money can also be retrieved at Trig.com. A social media platform designed as an innovative global social communications solution. Already today, more than 1000 shops are connected in 16 different countries. Salgado, now a retired footballer, played full-back at Real Madrid and Blackburn Rovers during his professional football career. Nicknamed II Due (two in Italian), he was known for his combative tackling and attacking style of play. During a 15-year period in Spain, the defender featured in 343 La Liga games with Celta Vigo and Real Madrid, scoring seven goals – represented the La Roja, collecting over 50 caps and appearing in one World Cup and one European Championship. He also played three seasons in England with Blackburn Rovers. At age 40, he came out of retirement to join Kochi 5s in India’s Premier Futsal League on a three year deal, playing in the tournament alongside football legends – Paul Scholes, Deco, HernanCrespo and Ryan Giggs. Today, Salgado is active as Director of Football for the Dubai Sports City (DSC) and its Spanish Soccer Schools (SSS). Michel is also an Ambassador for Chevrolet and Adidas for Middle East and North Africa. He also stars in the football-focused reality show “The Victorious” as a trainer, alongside another legendary football hero, Diego Maradona who is the show’s host and Judge. Former Real Madrid player Michel Salgado has praised Cristiano Ronaldo for winning the Ballon d’Or four times. He said that this is more impressive that he has managed to do this against a player of the quality of Lionel Messi. He said that this is a proof of Ronaldo’s quality and that this is a legitimate title as different people have voted it. He said that it is never easy to win such a trophy and doing it against a player like Lionel Messi is impressive. He believes that Cristiano Ronaldo has been the best player in the world over the course of last season and rightly deserve to win this title. He said that the Portuguese international is a quality player and that he always gives his best whether on the pitch or on the training ground. Michel Salgado said that he has not spent a lot of time with Cristiano Ronaldo, but he believes that he is a lot like Luis Figo. He said that he is an important player for his club and that just as Luis Figo he has a great winning mentality. Michel Salgado has also commented on the present Real Madrid team and believes that it is better than the one he played in. He said that there are far more quality players in the Real Madrid team at the moment and that they do not rely on only one goalscorer. He believes that there is far more consistency in the team at the moment and they should be favorite to win the title. However, he admitted that Barcelona also has a good team and that it would not easy to win the title. But if Ronaldo remains in top form, he thinks that they could have a great chance of winning the title. Former Real Madrid player Michel Salgado is set to continue the Premier Futsal poised to continue in the New Year, 2017. The retired football star signed a three-year deal in 2016, joining the gradually growing list of top stars that have agreed to play in the first multi-national Futsal League. Retired Manchester United star Paul Scholes already signed alongside former FC Porto and Barcelona player Anderson Lu’s de Souza popularly known as Deco. Global Futsal legend Alessandro Rosa Vieira fondly called Falcao had agreed as well. The inaugural tournament saw six teams play four games before the finals during the summer. “Futsal is an extremely underrated sport. It has been the breeding ground for some of the biggest names in football the world over and I’m glad Premier Futsal in India is creating a platform that can showcase the sport and give it its due. Salgado was a part of the Madrid’s ‘Galacticos’ that included player-turned-manager Zinedine Zidane, David Beckham, Luis Figo, Raul and others. Salgado has won four La Liga titles, two Champions League trophies and one intercontinental cup. 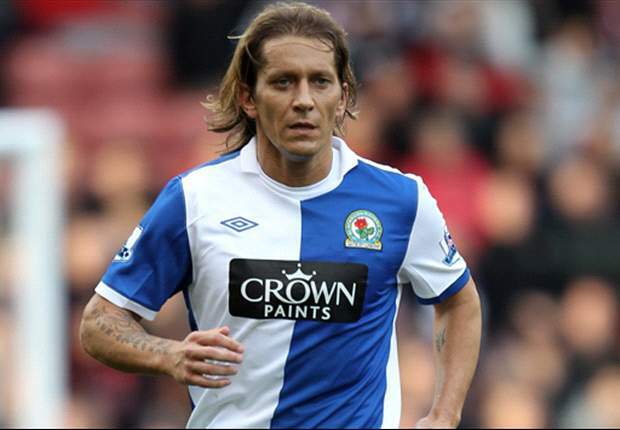 After spending a decade in Spain, Salgado moved to Blackburn Rovers where he spent three years in the Premier League. The 2016 Premier Futsal saw layers from four continents and 21 countries. Each franchise had a marquee international player, seven international and five Indian players. Mumbai 5s won the 2016 edition with Angelott Caro being the highest goalscorer. There appears to be something that always brings back soccer players to the pitch even after they have announced their desire to hang up their boots and retire. The vast majority of football players that retire always come back to the world of football and even though they aren’t performing at a competitive level anymore, those retirees usually take up another job relating to the sport. ZinedineZidane retired after the 2006 World Cup and came back to coach Real Madrid a few years later and this is the story of many well-known figures who either become a coach, a director of a club or something similar. 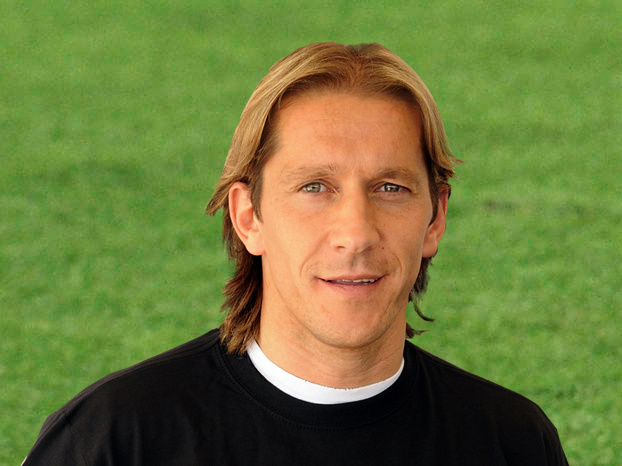 Michel Salgado opted to withdraw himself from competitive football back on 2011 and he stayed rather hidden and secluded from the world for a few years but Salgado decided to come out of retirement at the age of 40 as he joined the Futsal team Kochi 5s in an Indian competition. Now that the Indian Futsal tournament has reached it’s end, Salgado has recently showed intentions of getting back to the world of football but as a club owner as he wants to buy Celta de Vigo. Salgado has been attempting to outright buy Celta de Vigo as the club is currently going through a sale process with a Chinese consortium interested in buying the football club but the former Real Madrid player, Michel Salgado does not want to see the club switching hands to an entity outside of Spain and this is why he launched an offer but it’s believed that the transfer to the Chinese consortium is at the verge of being completed and that it was too late for Michel Salgado to do anything about it. At the age of 40, Michel Salgado opted to put his football boots back on as he returned from retirement and perform in the first multi-national futsal league, Premier Futsal which managed to attract over 10 million viewers. This event commenced on July 15 up until 24 of that same month and it had well-renowned football stars such as Ronaldinho, Paul Scholes, Michel Salgado, Ryan Giggs, HernanCrespo and Cafu, just to name a few of the popular figures. Kochi and Mumbai 5s were the last 2 teams remaining and they had to face against each other in a game that had to be settled through a dramatic penalty session and it was Mumbai 5s that came out on top with the victory. This was the inaugural season of the Premier Futsal tournament in India and it turned out to be a huge success with fans enjoying the event and having fun as they watched legends of the sport locking horns. The tournament had a total of 79 goals being scored in 15 matches which is proof of just how fast paced and thrilling each match was, as it had an average of around 5 goals per game. Michel Salgado performed for Kochi 5s and during the penalty session, he missed his kick and so did Ryan Giggs of the opposing team but even though Giggs failed to score his penalty, his team Mumbai 5s still managed to come out on top with the victory. If you are looking at the latest news surrounding Salgado, this player would be joining the likes of players like Ronaldinho, Giggs and others like Crespo and Scholes who would be appearing in Premier Futsal. These players would play the inaugural tournament, which will premiere in India this very month. For the tournament Falcao would be the sixth player of marquee category. Being a Brazilian legend in Futsal, he would be playing the inaugural match which will be held on July 15th in Chennai. Deco was also supposed to play, but this former Portugal and Barcelona star player has had to withdraw since he is injured. There would be six franchises that would be playing the Premier Futsal. These franchises are not yet registered with FIFA or the Indian federation and each would represent or feature a marquee star. The franchises would represent regions like Mumbai, Chennai, Kochi, Bengaluru, Goa and Kolkata. These would then be divided into two groups as they would play the finals which would reach Goa around July 23rd. The Co founder of Premier Futsal stated that, there had been several attempts to tarnish the image of the tournament and there have been several false allegations. However, braving all such oppositions, the tournament would be scheduled to start off on July 15th in the city of Chennai. The league would take place only in the two cities, first in Chennai and then in Goa. There would be six franchises playing. Players who are considered to be legends would be there to support the games. They will be arriving to support the teams within a few days. Futsal has been inaugurated this year and it is hoped that the league will expand in the coming years with more encouragement from the masses and the international playing arena. Former Real Madrid defender Michel Salgado was named by Iker Casillas in his list of greatest players he has played with. Salgado who turned 40 years started his career with Celta de Vigo before moving to Real Madrid in 1999 for 4.5 million Pounds. He later moved to Blackburn on free transfer in 2009 before moving on to end his career in 2013. The Right Back has regularly urged Los Blancos to victories despite leaving Santiago Bernabeu many years back. Real Madrid legend, Iker Casillas, named the defender in his greatest club XI including a host of ‘Galacticos’ he played with. The Spain International goal keeper is currently at FC Porto after being sold by his home club last season but continues to show his love and support for his former club, Madrid. Casillas picked out Real Madrid manager, Zinedine Zidane in the centre and picked Fernando Redondo to back him up. In the strikeforce, he picked Ronaldo De Lima, Cristiano Ronaldo and fellow legend Raul. Former Real Madrid player Michel Salgado believes that it was destiny that brought Zinedine Zidane to coach Real Madrid. He believes that Zidane has everything needed to succeed at Real Madrid. He said that even he was playing, Zidane was a respected person and that he had the character needed to manage at the highest level. He said that every time Zidane entered the dressing room when he was a player, his teammates will always listen to him. Salgado believes that it is wrong to criticize Zidane because of a lack of character. Although the former French player may appear to be shy, he has a winning mentality and attitude that will allow him to deal with players. He said that Zidane already has the experience needed since he has been a top player. It is the same with Pep Guardiola he argued. Both players have had experienced as players, and they will both succeed as managers. He said that the Madrid fans are quite pleased with the appointment of Zidane, and so far he has been brought excellent results whether it is in Spain or in the Champions League. For Salgado to make the transition from being a top player to a top manager, require that you learn how to deal with players and their egos. He said that Zinedine Zidane has the qualities needed to achieve this, and he is sure that he will succeed at the top level. He has asked people to give Zidane some time before judging him and also take consideration that he has been appointed in the middle of the season. He said that he has inherited a struggling team and that it will take time for him to improve it. Park Ji sung claims that inconsistency has been one of the main reasons for Manchester United not doing well in the 2015-16 campaign despite having spent vast sums of money in the summer. United have not just spent in the last summer, but they have been trying to revamp their squad ever since the retirement of Sir Alex Ferguson. The spending has gone up significantly in the last two summers. However, it has not yielded any growth for the club, as they continue to struggle for a top four finish. The form has showed a tendency to go up and down depending on the availability of players. The South Korean midfielder says that the club needs to sort this out before thinking about the title. He has admitted that qualify for the Champions League remains a major priority for the club not just in terms of the prestige, but also when it comes to the revenues as well. United are in pole position to become the richest club in world football. They already have substantial revenues, which will now be boosted by the new television deal from the Premier League. At this point, they will want to remain in the Champions League in order to take advantage of this new contract. “It’s not been a good season for United. Sometimes they’ve performed well, sometimes they’ve been off and that’s not good for the team overall. When we do well we need to keep up the momentum and continue to do well. Hopefully, we can see them perform better in the last few games. It’s not just one problem for any team when they play badly. It’s an overall factor. It includes the coaching staff, the manager and the players,” said the former midfielder, who is now the club’s ambassador for Asia.